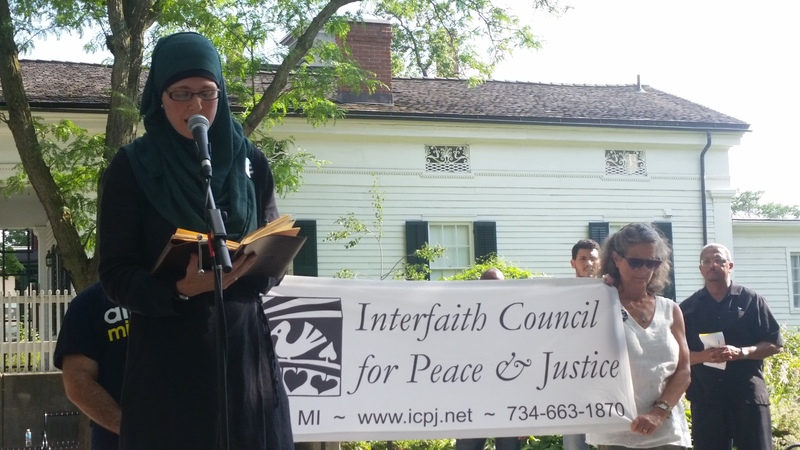 Interfaith Council for Peace and Justice inspires, educates, and mobilizes people to unite across differences and to act from their shared ethical and spiritual values in pursuit of peace with social and environmental justice. 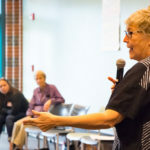 Interfaith Council for Peace and Justice envisions a world free from violence, including the violence of war, poverty, oppression, and environmental devastation. To enact this vision, we commit to nurture a community in which compassion and respect foster actions that dismantle systems of violence while simultaneously creating systems of peace, justice, and ecological sustainability. Volunteers will first go through a small “pilot” section of Ann Arbor’s 5th Ward, taping a notice on trash carts that provides information about the pilot project. 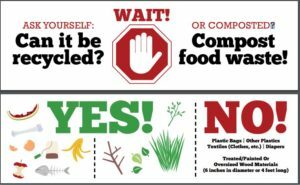 In a second round, volunteers will again go through the neighborhood and put informational stickers on compost bins and trash bins (comparable to those on recycle bins) to show what should and should not go in each bin. (We won’t go out in rainy weather! )Did you know that 20% of what Ann Arbor sends to the dump is food waste! By composting instead, we can help reduce methane gas emissions, which contribute to climate change, and save money by putting less in our landfills. That’s our goal; increase the use of Ann Arbor’s food waste composting program and divert more compostables (and also recyclables) from the dump. guided in specific practices that they can use in daily life to cultivate greater equanimity and wellbeing. This workshop is targeted for individuals who are new to mindfulness. Handouts will be provided as well as access to audio recordings of workshop practices. Rita Benn, Ph.D. is Director of the Faculty Scholars Program in Integrative Healthcare at the University of Michigan, long-term practitioner of meditation and co-founder of Ann Arbor Center for Mindfulness, the Michigan Collaborative for Mindfulness in Education and Mindful City. 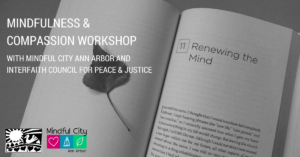 Julie Woodward, MA, MSW, is a co-founder of Mindful City Ann Arbor and the Ann Arbor Center for Mindfulness. A Health Educator at the University of Michigan, Julie’s mindful awareness practice is rooted in her practice of yoga. This workshop is also available to schedule for your congregation or community group. Contact [email protected] for additional information. 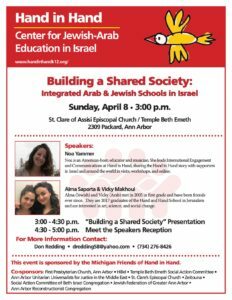 Please join us on Sunday, April 8, 3:00 p.m., at St. Clare of Assisi Episcopal Church/Temple Beth Emeth, 2309 Packard St., Ann Arbor, to learn how Hand in Hand is creating a strong, inclusive society in Israel through a network of Jewish-Arab integrated bilingual schools and organized communities. We will hear from Alma Saporta and Vicky Makhoul, two Hand in Hand graduates and also Noa Yammer, Hand in Hand’s Director of Communications. This special event is sponsored by the Michigan Friends of Hand in Hand. In these challenging times, Hand in Hand stands out like a beacon of sanity and hope. Over the past year, we have seen an alarming increase in hate crimes and attacks against immigrant, Muslim, LGBTQ+, and other vulnerable populations in our communities, as well as across the country. Have you asked yourself, “What could I have done if I were there?” Have you witnessed someone being harassed, but were stifled or frozen by fear and didn’t know what to do? The good news is that there are lifelong skills and techniques that you can learn and practice to keep each other safe. Our 4 hour Basic Bystander Training will show you how to respond. Experienced and certified ICPJ facilitators will teach you the basic tactics you can use to deescalate and/or redirect threats and harassment through non-violent methods and strategies. Not only will you learn more about non-violence, but also how to be an active listener and to understand that we have more in common than we have differences. When we can come together with an open heart, the better we can help one another. Cultivating communities of compassion and care begins with US. Pre-registration is required. Cost if FREE thanks to First Unitarian Universalist Congregation of Ann Arbor for sponsoring! Please Register through Eventbrite HERE. WHEN: Check back for the next available workshop, or contact ICPJ at [email protected] to host a Bystander Intervention Training for your group! Learn more about other ICPJ workshops and trainings! 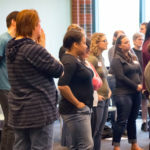 Our Youth Bystander Training is specifically designed to address conflict situations and conversations that teens have experienced and/or are experiencing in their everyday lives, whether at school or in a public social situation. This experiential process is built as a safe & confidential space for youth to explore and talk about difficult issues that they are experiencing. This training prompts participants to think about what violence and non-violence means to them, to raise awareness around injustice, bias, prejudice and to empower youth to stand up and speak out for others. Only for ages 14—18 years old. We encourage you to support local and independent bookstores. March 20: The Color of Law. Read from “Preface” through Chapter 3, entitled, “Racial Zoning,” pages vii – 58. April 17: The Color of Law. Read from Chapter 4 entitled, “own Your Own Home,” through Chapter 6 entitled, “White Flight,” pages 59-100. 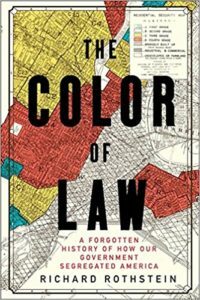 May 15: The Color of Law. Read from Chapter 7 entitled, “IRS Support and Compliant Regulators” through Chapter 9 entitled, “State-Sanctioned Violence,” pages 101-152. June 19: The Color of Law. Read from Chapter 10 entitled, “Suppressed Incomes,” to end, pages 153-218. WHERE: Ann Arbor Friends Meeting, 1420 Hill Street, Ann Arbor. Use the alley south of Hill Street. Turn from Hill onto Lincoln (first street on left after turning onto Hill from Washtenaw), then turn right into the first alley on the right and park in the lot just behind the Friends Meeting House near the far end of the alley. 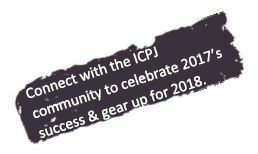 What: Join with other members of the ICPJ community to celebrate the successes of the past year resisting hate and injustice, preview what’s coming up in 2018, elect new board members, and celebrate community at a dessert reception. When: Thursday, March 22, 2018. Program begins at 7:00, followed by a dessert reception. On Saturday, March 10 at Ypsilanti High School, hundreds of people will gather for the biggest ICPJ event of the year – Connect & Act 2018. Experienced facilitators will focus on a few central themes, in 5 different break out sessions, and explore how current social justice issues are connected to the giant triplets. The conference will utilize an interactive liberating frameworks structure and include youth voices throughout; feature live music by Nadim Azzam and Kiyoshi Shelton, great food, and intentional people connection time. 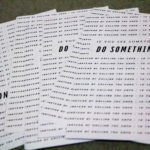 Come early (by 9:00 am) to try a mini-Bystander Intervention Training or a mini-Mindfulness Meditation to gear up for a full day of education, inspiration, and mobilization! WHERE: Ypsilanti High School, 2095 Packard St, Ypsilanti, MI 48197. Don’t let the ticket price stop you from coming! 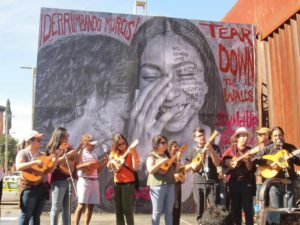 Join the Latin American Task Force of ICPJ on the second Tuesday of every month (January through May 2018) for a special Dinner & a Movie series focusing on Latin American issues and the social justice connections that affect us all. Location: St. Mary’s Student Parish, 331 Thompson St. Ann Arbor, MI 48104. Film is free and open to the public. DINNER OPTION: $8.00 Pilar’s Tamales Meal – Includes one Tamale with salsa, organic casamiento, fried plantains, and curtido (veg. option available). Please RSVP to reserve your meal. *Be part of the ICPJ community for ONLY $25/year! You’ll receive discounts on all of our trainings, workshops, and events, as well as stay up to date through our e-updates and quarterly newsletter. Become a Member today by choosing the third registration option for $45 and start receiving your discount right away! Scholarship tickets are also available, contact Germaine, [email protected] or 734-663-1870 for more info. Join our email announcement list.